Bits of My Own: Finally a finish! 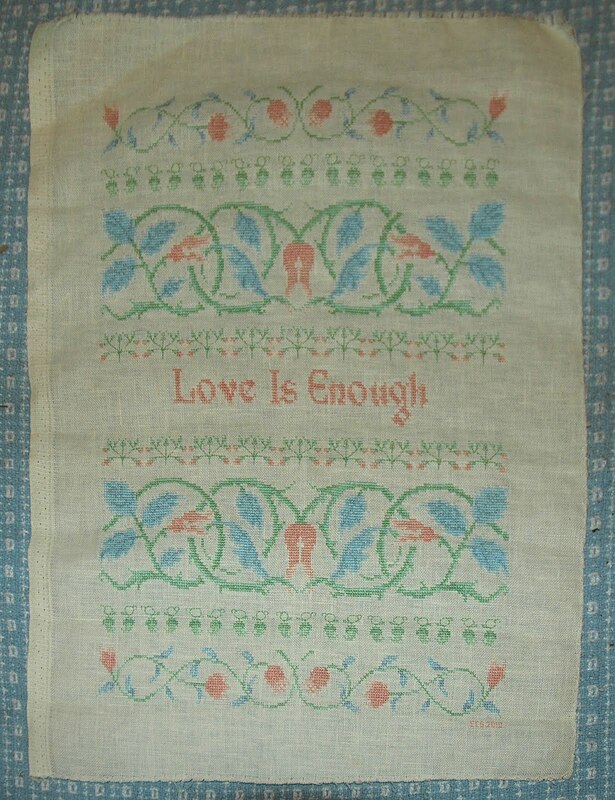 Tuesday evening I finished Love is Enough. This one seemed to take forever. Although I liked the way it turned out, I didn't really enjoy working on this one. It was a very finicky, fidgety piece, with a lot of teeny tiny back stitching with constant change in direction. Rather tough on the old eyeballs! Now I have to find the right frame for it. After this, I decided to work on a quick little one. I have had Bountiful Blueberries from Sweetheart Tree, in my stash for ages. 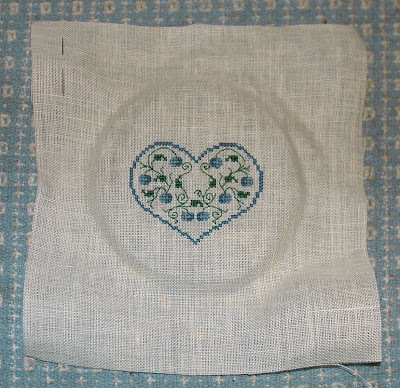 This one is only 43 X 34 stitches, and works up very quickly. 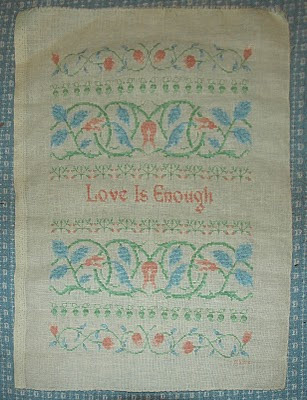 The first evening I finished up most of the cross stitching. 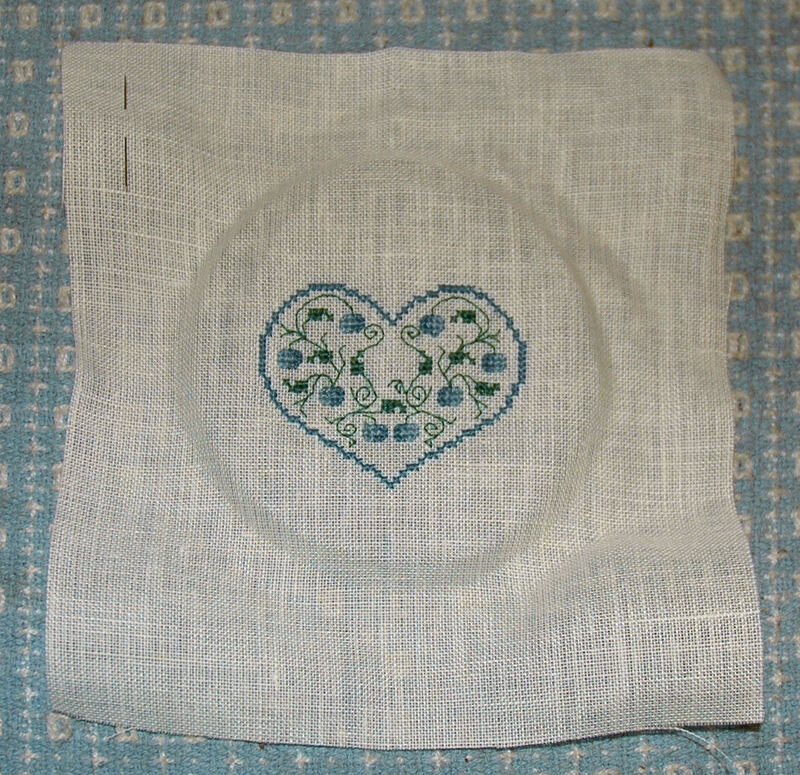 Then last night I finished up the rest of the cross stitching and did all the back stitching for the tendrils. By the way, I think the designer has probably never seen blueberries growing in nature. 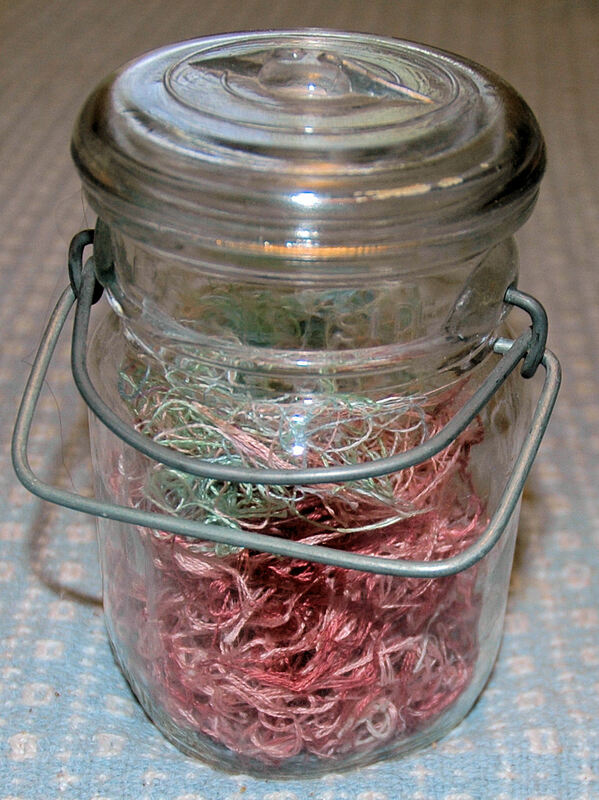 There are no tendrils or vine. They grow on a bush! That said, I like the design. 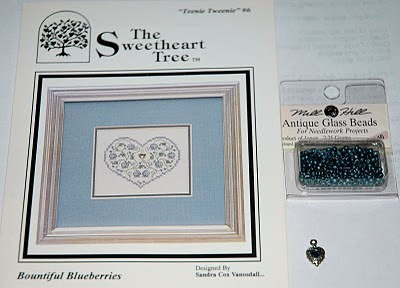 Tonight I will do the outlining on the berries, and attach the beads and the little charm in the center. I totally missed the March edition of the Totally Useless Stitch Along. Here is the March-April edition. Atleast there are a few more colors in there. Before it was totally pink from my quilt. LOve is Enough looks gorgeous! And the Sweatheart design is looking lovely.